Hi! My name is Mallory. Born and raised in Saskatoon, SK. I graduated from McKay Massage and Hydrotherapy College in 2007. Since then I've worked in a few high end spas and am now enjoying working out on my own! I believe that no 2 clients are the same, therefore no 2 massages are the same. My techniques vary from relaxation to deep tissue, myofascial release and trigger point therapy. I am also trained in Hot stone massage therapy, and registered to practice through NHPC. I am punctual and efficient and am positive you will enjoy your treatment with me. 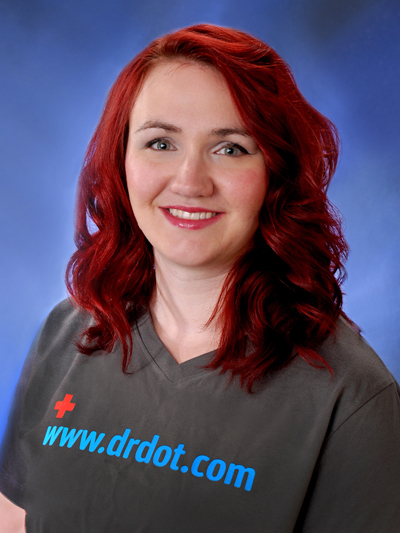 I'm excited to join the Dr Dot team and get the chance to work on you! !